Mario Kart 8 is a genuinely delightful game. We reviewed it this past May, and it's quickly stormed to the top of our best games of the year so far list. That's a mental list, by the way. We don't have that thing written and updated anywhere… though, maybe we should? Regardless, Mario Kart 8 is great. It's a strong racer, one of the best entries in the long-running franchise and a sight to behold on the Wii U. It doesn't arrive without flaws, however minor they may be. One of them, at least as far as I'm concerned, are the five crucial characters missing from its roster. Nintendo brought the Koopalings into the mix with this game, a nice move for the company. I attest however, that the likes of Baby Rosalina, Pink Gold Peach, Toadette and a few others could have been dropped for better options. Options that have all been in Mario Kart games before. Which better options? Here are five characters that I think are sorely missing from Mario Kart 8's roster. Diddy's the biggest oversight in my book. This is a character that's commanded a following ever since his appearance in Donkey Kong Country on the SNES. 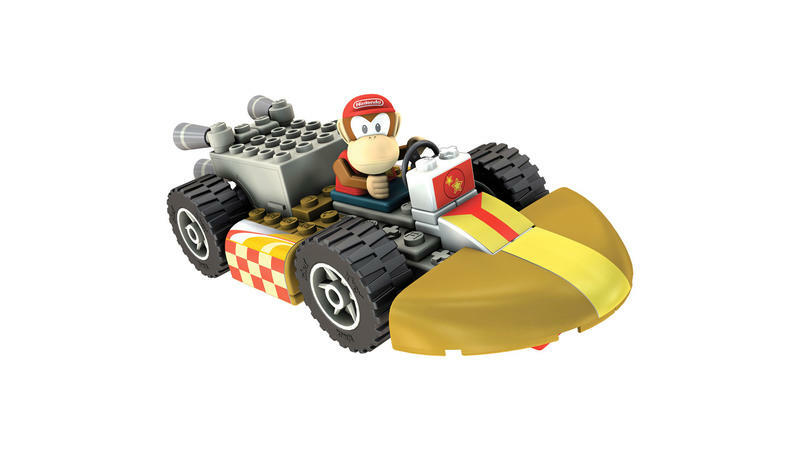 Not only has Diddy raced in other Mario Kart games, but he's also starred in his own Rare kart racing effort with Diddy Kong Racing on the Nintendo 64 and, later, the DS. Diddy's a fan-favorite, and he absolutely should have cracked the lineup in Mario Kart 8. He has a home in the new Smash, and he's even on the Wii U already with Donkey Kong Country: Tropical Freeze. Diddy's great, and he should have been here. King Boo first appeared in the Mario Kart lineup with Double Dash. This happened a short two years after his debut in the amazing Luigi's Mansion. King Boo was in Mario Kart DS and Mario Kart Wii, though he was scrapped in Mario Kart 7. Fair enough. King Boo appeared again in Luigi's Mansion: Dark Moon, one of several million sellers for the Nintendo 3DS. Seeing King Boo in Mario Kart 8, with this fact in mind alone, makes complete sense. And yet, he's missing. The ghostly figure would have easily been a welcome sight here. Believe it or not, Dry Bones has been around since Super Mario Bros. 3 in 1988. The dead and decaying version of the Koopa Troopa is a series staple, and he's already raced in Mario Kart DS and Mario Kart Wii. He's established a good following of fans. Fine, if it's not gonna be Dry Bones, then why not Dry Bowser? Here's a villain that's been a joke regular for several main line Mario Games. He should be a racer by now. Heck, I'll go one further. Super Mario 3D World fans might join me in asking why we didn't see a Cat Bowser racer in Mario Kart 8. That would have been ridiculous, and I would have loved it. Alright, fair enough, I'll totally admit that Petey Piranha is an almost entirely selfish selection on my behalf. I don't know what it is, but ever since encountering him in Super Mario Sunshine and subsequently unlocking him in both Mario Kart: Double Dash and Mario Golf: Toadstool Tour on the GameCube, Petey Piranha has been one of my favorite bad guys in the whole Mario series. Silly, I know, but still. He's a heavy driver with huge top speed and horrible acceleration. I loved Petey on higher difficulties when I needed to create huge leads between myself and the second place contenders. Having that again would be great. Ah, Birdo. A throwback to Super Mario Bros. 2. For me, Birdo always stood as a palette swap for Yoshi. The same driver in a crazy pink look with an obnoxious bow on her head. I got used to Birdo, though. While she might be one of the more forgettable names in this list (alongside, perhaps, Petey Piranha), I'll always regard her as one of Mario's better foes. No, not better as in difficult. Just unique. Birdo arrives with a backstory of sexual identity and gender confusion, something that's fueled a lot of strong debate on the Internet. I won't get into it here, though. Just know that Birdo's gender is more ambiguous than the current form of Nintendo lets on.